Fun for both kids and adults, Blokus is a strategy board game that challenges spatial thinking. Bright colors and simple rules make it ideal for ages five and up, but adults will certainly be engrossed by this unique and challenging game. Not Your Average Board Game : Blokus encourages creative thinking and has received a Mensa award for promoting healthy brain activity. The goal of this game is for players to fit all of their pieces onto the board. When placing a piece it may not lie adjacent to the player's other pieces, but must be placed touching at least one corner of their pieces already on the board. The player who gets rid of all of their tiles first is the winner and strategic thinking helps as you block moves from your opponent. Blokus sometimes comes to an end because there are no more possible moves. 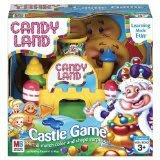 Hasbro's Candy Land Castle Game is a fun and engaging game for your pre-schooler that encourages coordination and matching skills. This colorful game provides many learning opportunities for your youngest pre-schooler either by playing alone or with others. I Can Do That! Is for kids ages four through eight and is designed for two to four players, making this an ideal family game. Game gets your kids up and moving in with imaginative, fun-filled and funny activities. As well as providing energizing fun, this innovative game will help foster a sense of confidence in your children. 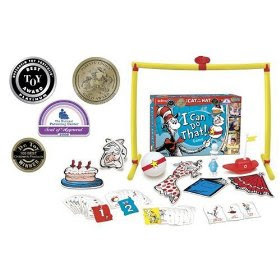 It has won several awards, including the Parents' Choice Gold Award, the National Parenting Center Seal of Approval, and the Oppenheim Toy Portfolio Platinum Best Toy Award. It has also been listed as one of the Dr. Toy 10 Best Creative Products. 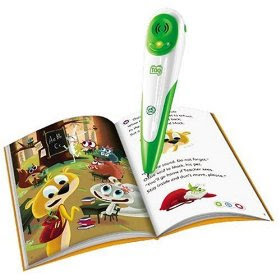 LeapFrog Tag Reading System: the revolutionary touch reading system that brings reading to life like never before. Tag engages children to make reading a rich, fulfilling experience. Children simply touch the Tag Reader (which looks like an electronic pen) to the book's pages, and words talk, characters sing and stories fly off the pages. With a huge library of hardcover books and games including favorite TV, movie and classic tales, each Tag Book allows children to learn at their own pace, building their skills and their confidence. Plus, by connecting the Tag Reader to the online LeapFrog Learning Path, parents can see what their child is learning -- and even receive recommendations on what books their child could read next! Leapfrog Fridge Words Magnetic Word Builder: learn to build over 325 words through three different levels of play including Load a Letter, Word Play and Word Building. Using the included 29 letters your child's reading skills can take flight. All pieces attach securely to any magnetic surface. -Includes 3 modes of play. Recommended age range 3+ years old. 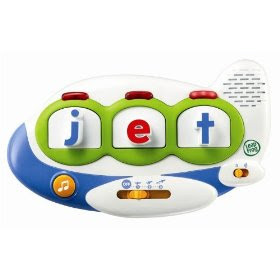 With LeapFrog's Word Whammer Fridge Phonics, you can create over 325 three-letter words with magnetic letters that sing and teach. 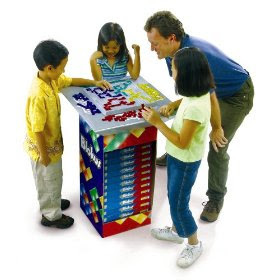 These interactive, magnetic letters are based on the LeapFrog Talking Words Factory video. What's a Word Whammer' It's a machine that teaches kids letter names, letter sounds and how letter sounds blend together to make words. It features three modes of play. In Letter Hunt, children learn letter names and sounds through fun songs. With Word Builder, children explore letter combinations and create over 325 words. In Word Hunt, children can spell three-letter words, then replace letters to make rhyming words. Lights follow each letter during play to reinforce the learning.